Iraqi Marshes, Second Step Towards World Heritage! Home / Save the Tigris / Iraqi Marshes, Second Step Towards World Heritage! The international coalition of the “Save the Tigris and Iraqi Marshes Campaign” welcomes the achievement accomplished by the national Iraqi team for the nomination of the Iraqi marshes to the World Heritage Committee, according to the 1972 World Heritage Convention. The Iraqi Ministry of Environment confirmed that it had submitted the nomination file to the specialized bureau of UNESCO. The process of preparing this file is a long, complicated, technical procedure, and a basic step on the way to accomplish the ultimate goal; to enlist the Iraqi marshes to the World Heritage List. For this accomplishment, the Save the Tigris and the Iraqi Marshes Campaign – founded in 2012 by civil organizations from Iraq, Turkey, Iran and Europe against the destructive impacts of dams like “Ilisu” in the Euphrates and Tigris River basin – would like to express appreciation to everyone who’s worked on this file, especially the Iraqi Ministry of Environment. This nomination file is the second step and aims to introduce the necessary information to support the process to enlist the Iraqi marshes in the World Heritage List. According to the 2011 Operational Guidelines for the Implementation of the World Heritage Convention, the next step will be Advisory Bodies’ evaluation of the file. The UNESCO – World Heritage Center that carries out the tasks of the secretariat of the Convention, will review the file as a first step of the evaluation process, in case that the file is complete, it will be transferred to the two advisory bodies, the International Union for Conservation of Nature (IUCN) and the International Council on Monuments and Sites (ICOMOS) to be evaluated according to the Operational Guidelines, and then sent to the World Heritage Committee for the final decision. The latter has the right to make the decision on the inscription of the marshes in the World Heritage list. Our campaign would like to emphasize that this accomplishment requires a great deal of care and follow up, until reaching the ultimate goal, and we demand that UNESCO and it’s specialized bureau offers all necessary support, technical help, and any required follow up, or any addition that this file might need, to overcome any challenges, hoping to submit this file to the World Heritage Committee meeting next June 2014. The marshes of the southern parts of Iraq (Mesopotamia) are on the tentative list since 2003 for its natural and cultural heritage, it’s exceptional value as the largest “wet lands” in the Middle East, and the home land of the “Marshlands Arabs” with the distinguished culture and civilization that goes way back in history for more than five thousand years. In March 2012, the Save the Tigris and the Iraqi Marshes Campaign launched a petition to the World Heritage Committee, urging the Committee to assess the impacts of the construction of “Ilisu” dam on the potential world heritage sites in Mesopotamia, and to press the riparian countries not to take any action that can cause any damage, to potential world heritage sites, as in Hasankeyf, Turkey and the marshes in the south of Iraq. 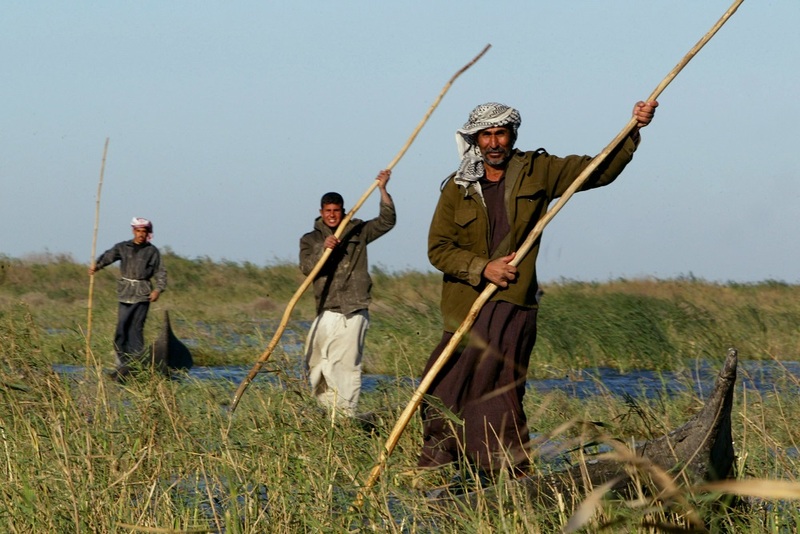 Our campaign supports Iraq in this important milestone, and calls upon the Iraqi Ministry of Environment to pursuit its constructive endeavors to protect the Iraqi Marshes. The campaign recognizes last years’ break through success in converting the Central marshes into a natural reserve, and the completion of the nomination file. The campaign also invites local communities and civil society organizations to engage in such an important development to preserve the environment in Iraq.